Want to up your packed lunch, picnic, and snack game? 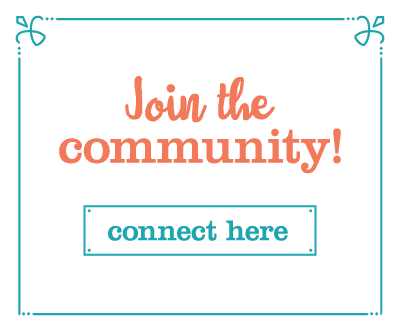 This week, Cuppow is offering five $20 gift codes up to the Food in Jars community! Use the widget at the bottom of the post to enter! During the winter months, I can happily spend week after week working away at my dining room table or perched at my desk (located behind the television), without feeling even a little bit restless. Many a day has passed when I haven’t so much as stepped toe outside my apartment building. But as soon as the weather begins to warm and the days lengthen, I start to feel squirrelly. Lately, staying inside has made me feel fidgety, as if the walls of my apartment are a particularly itchy and confining wool sweater. And so, I’ve been changing my patterns and heading outside. Some days, I only go as far as my neighborhood coffee shop or the covered concrete patio that juts off on the west side of my apartment building. Other days (far more infrequent than I’d like), I blow off work entirely and visit a friend who moved about an hour away this time last year and had a sweet baby boy back in December. The one thing that all these outings have in common is my devotion to always packing a snack. As someone who tries to eat well most of the time but is highly susceptible to bakery cases and bags of chips at the check-out counter, being prepared is hugely helpful in avoiding temptation. Lately, I’ve been reaching for my stash of BNTO jar adapters from Cuppow to help me pack up portable and waste-free snacks (because even when you do find a relatively virtuous snack in the world, the amount of packaging is enough to drive an environmentally minded person a little bit crazy). On the particularly day pictured here, I filled jars with carrot sticks, apple slices, and yogurt with a dollop of quince jam. Into the BNTO adapters, I put peanut butter, hummus, and a bit of granola (embarrassingly, it was not homemade). Some homemade cold brew went into a wide mouth pint, with one of my original Cuppow lids secured on top for easy sipping. With picnic season upon us, I encourage you all to spend a few minutes thinking about how you pack up your sandwiches, snacks, and treats. Perhaps a new BNTO or two would make the process more streamlined and less wasteful! To that end, for this week’s giveaway, our friends at Cuppow are up five gift codes worth $20 a piece. 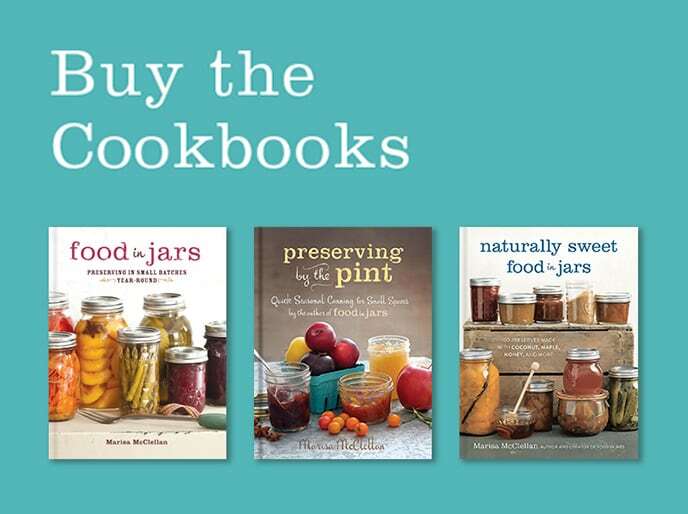 Five lucky Food in Jars readers will each win one code to redeem over at the Cuppow website. 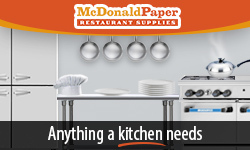 You can choose from Cuppow lids, BNTO jar adaptors, Mason Taps, and CoffeeSocks! Use the widget below to enter. Disclosure: Cuppow is a Food in Jars sponsor and are providing the codes for this giveaway at no cost to me. Products pictured were sent for review purposes. However, all opinions expressed here are mine alone. 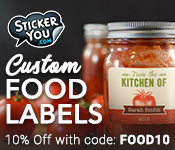 ← Food in Jars Stickers for Sale! I have 3 kids…how wouldn’t we use them? Swimming at a friends house, out staring at the clouds, hiking at our favorite nature spots, park days with friends…we could definitely put these to work! 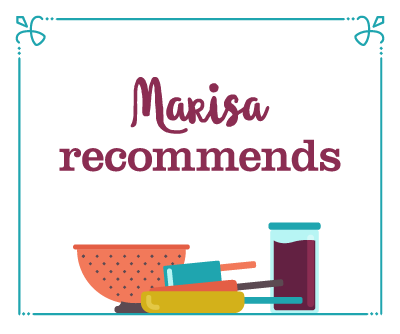 I take snacks from home when I’m out and about, especially with my two kids, and this would make it so much easier to up my game! I would like to use one for packing peanut butter with celery sticks for evening picnics in the park! Or some other veggies and dip combo. It would be great for packing food for lunches at work! Need to get more organized! 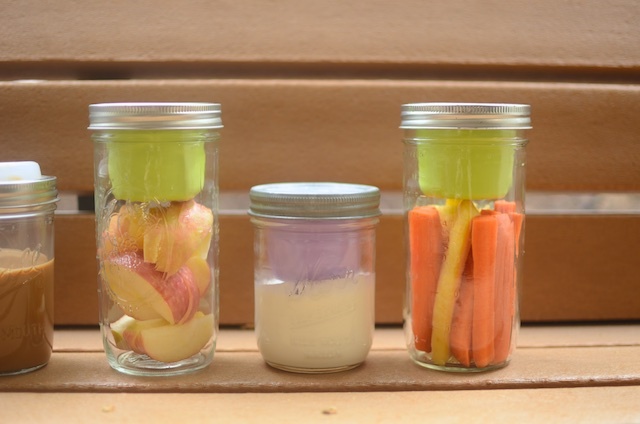 I would use the bento cups on my new wide mouth pint and a half jars, veggies and dip! 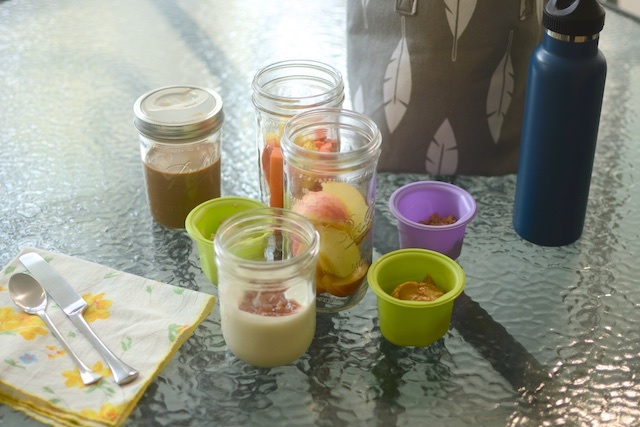 The apples and peanut butter using a bento cup look so tasty! I would definitely do that. And maybe bring a smoothie in the mornings with me using the Cuppow lid. 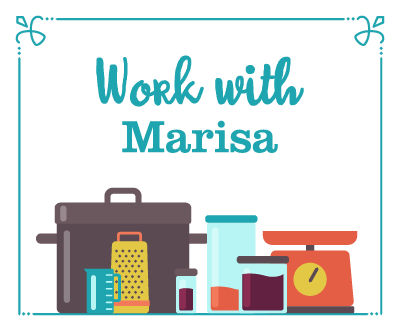 I am heading back into the workplace after working remotely and would love a waste-free option for bringing snacks and lunch to work! Trying to get better about having healthy snacks on hand at work, and Cuppow products would help immensely! My 6 year old has asked if we could have a picnic so these would be perfect for her first one! I love to put drinks in mason jars with the sipping lid. So convenient! I take my lunch to work every day. This would be a great addition to my lunch box. I would firstly use them for granola and yogurt! Plus many other uses I’m sure! I’d use these for packing ALL THE SNACKS for my son! These would be perfect for taking to work. I’m preparing to begin packing lunch every day later this year and this would be very helpful! I’d love to try their cold brew coffee kit! Interesting lunches are so hard to make when you’re trying to stay away from cheap plastic!! I love these ‘fit in the jar’ lids & containers for lunches. I’m also fond of peanut butter & apples!! And hummus goes well with everything. One of my favorites is feta cheese in a container with a tomato/cucumber salad. I’d use them for yogurt and granola, and definitely the drinking lid for tea/iced tea! Mason jars are among my standard lunch bag containers, and these Cuppow lids would be a great addition. Yogurt and granola and salad with dressing are things I’d love be to be able to take along! How wonderful these would be for packing lunches! Use them for everything! I am “the jar lady” at work! Cold brew and veggies and dip are my faves!! I’m trying to be better about bringing my lunch to work instead of buying from our vending store in the break room. I’ve been on the look out for containers that work for me, and these would be a great addition! Warmer weather = more roadtrips! These are great for everything! I love my jars wit cuppow lid for iced coffees. These would be great for camping or hiking. Or picnics! I’ve been wanting to try one offer salad dressing for very long time. Thanks for the opportunity! 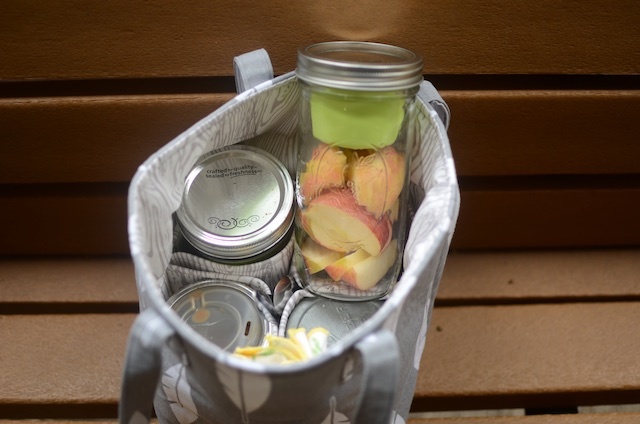 Would be perfect for packed lunches and snacks. 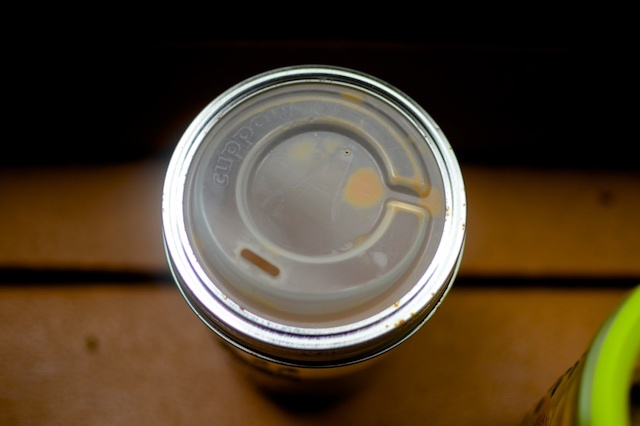 I love my cup lid, but would love to try the cuppow BNTO! The jar adapters would make my snack packing for work much more tidy. I am always loosing my little jars in the bottom of my bag. And the cold brew coffee is a must try. packing his lunch again. I could see vegesticks, lettuce wraps with meat and dippers. maybe even a few crackers. He is a fan of salads as well. Yes, this could put me back on his lunch maker track! I’d sure be a happy mama. I make yogurt and granola snacks and the granola is always soggy by the time I get to eat one. This would be wonderful for those and my apples and peanut butter snack! Love them! These are amazing! I need to start making yogurt! The kids and I would use them in lunches taken to the pool or park. Hummus or nut butter mostly. This would be perfect for taking healthy lunches to school! It would be so great to have these! I try to always pack lunch to take to work, and I can see how these would be a total game changer. It would be great for work lunches and for our photography hikes and camping. Thanks so much for the opportunity! I would use them to take snacks to my sons spirting events. While on a trip, rather than pass the snack boxes/containers around the car; each person can enjoy their own snack containers. Very cool idea, thanks guys. I have a mason tap already, but would love another one! We make all our salad dressings from scratch, and usually have a couple jars in the fridge at any one time. The mason taps are perfect for them! I’d use them to make healthy snacks for my husband to take to work. We pack our own picnic lunches when we head out fishing in the VT streams. We’ve learned to be very careful with our glass containers as we do not use plastic. These would come in very handy–no night crawlers, I promise. It’d be so convenient to bring hummus and veggies for a snack! These are so convenient and easy! I love the bag also! Such a great idea and super convenient! 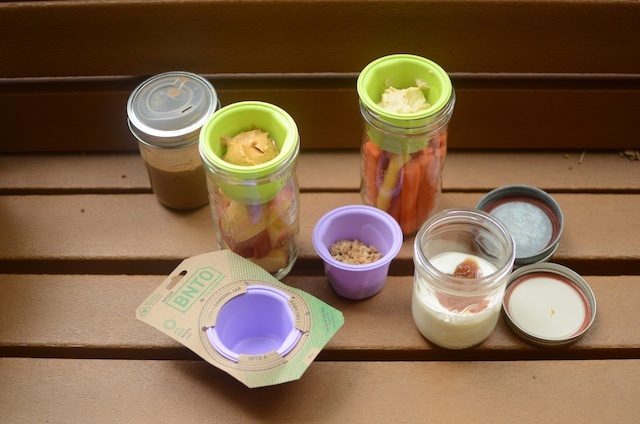 I would certainly use a BNTO jar adapter to pack healthy snacks for my trips. Perfect for me! Perfect for the kids! Perfect for traveling! I’d use it to pack snacks for work! So convenient! I would love to use the inserts to hold dips for my children’s lunches, such as peanut butter to dip celery sticks in. Iced coffee to-go and yogurt with granola. I would love these for the summertime for my kids snacks! We would make good use of them for snacks at all my boys’ baseball games! I currently love using the inserts to pack veggies and dip for lunch. I love using jars for my lunches. I like to make a fuss to get a nice lunch but if it tips over on the way to work or spills in my bag…that’s not good. I’m thinking I could really use jar inserts in my daily routine. Thanks for the offer! Oh man, I could see these being totally useful for my veggie & dip habit. It’s a lunch go-to for me. What a nifty invention. Admire your healthy snacking forethought. They would be great for salad dressings and leftovers. Great for on the go. Also great presents for your loved ones who work. Hummus and carrots! Clever idea! These would be great for any and all lunches!! These are such perfect little adapters but I haven’t pulled the trigger and bought any yet! Adapters for picnics! The perfect use! I love my cuppow top, use it all the time for my morning tea. Thanks! This is awesome! I’ve loved these products for a while now! This is the perfect time of year to use these. With all the outdoor activities like sporting events, picnics and bike rides these would make the perfect waste free accessories for my lifestyle!! 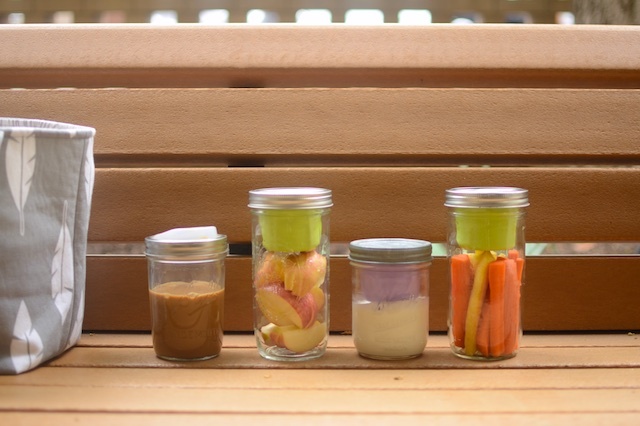 Dips for my fresh homegrown veggies…hummus and veggies…peanut butter and celery/apples and all things delish! I love the idea of using this to hold dressing for salad in a jar! I like using Cuppow for cereal … my grains go in the glass compartment and my yogurt or almond milk go into the little cup. I also have an amazing salted caramel recipe that I oour into the jar and add the sipper lid. I can pour it right out when it’s warm to drizzle over desserts. It’s ingenius! My friend has discovered she needs several small meals during the day because of her blood sugar levels. These would be perfect for her!! Picnics, travel, endurance rides and holding snacks for our little one! I have celiac disease, so it’s sometimes hard to find safe, gluten free food for me. I always feel better having some snacks with me just in case. These would be great for that! this would actually make me pack a healthier alternative instead of grabbing whatever junk is at work! These look like such a fun way to pack picnics and snacks! I would love to try these out! What a great idea for summer picnics! I would heat up chili in a mason jar and use the cup for the shredded Cheddar cheese to put on top. I pack my lunch for work every day. These would b3 amazing for that! I’d use them for salads and dressings for me and cereal and milk for the kids! I think I should try them for my kids lunch. Get them to eat more veggies with dip. I could see these working great for my son this summer. If I had some of these, he might even let me start packing his lunch again. I could see vegesticks, lettuce wraps with meat and dippers.. He is a fan of salads as well. Yes, this could put me back on his lunch maker track! I’d sure be a happy mama. Love iced tea in Mason Jars with drinking lids! Lovely! My brother in law just tagged me in a post on Facebook about reusing the little fruit or applesauce cups for this! work lunch so I don’t spend $$ on so so cart food! 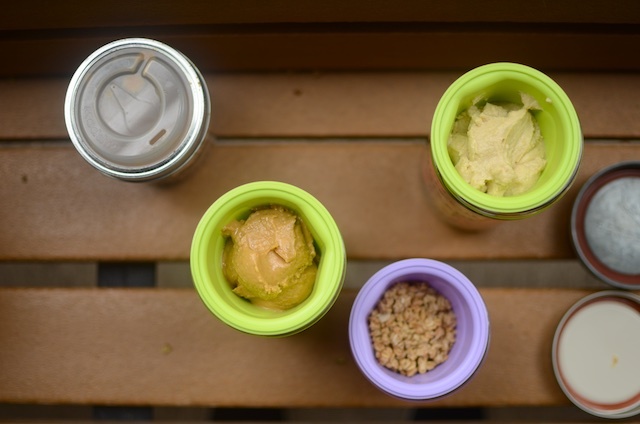 I would definitely use the BNTO jar adapters to take along peanut butter and hummus for my fruits and veggies when I am out and about. To take my homemade New Orleans Iced Coffee on the go! It’s brewed with chicory, cut with whole milk, absolutely delicious. After trying it for the first time at Blue Bottle Coffee in San Francisco and subsequently finding instructions for brewing on their website, it’s my favorite treat to welcome summer! These would help me think about new ways to pack school lunches. now that it’s finally warming up I want to switch back to protein smoothies in the morning, power up the protein to lose weight. 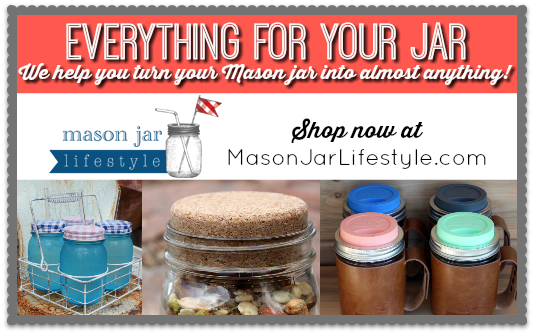 So I’d love to transform a mason jar to a smoothie sipper. I would like to pack carrot and celery sticks with some low cal dip. Also granola and yogurt. These would be great for summer picnics! Ooooh, how awesome. Would love to have these beauts! These would be great for chips, veggies, and guacamole! Definitely for a picnic – I like that idea. Especially for salad dressing / salads in a jar. I can put them into use by using them on our long health walks, we’d carry our snacks and beverages in them! We have multiple road trips planned for the summer as well as trips to the local park and whatnot. 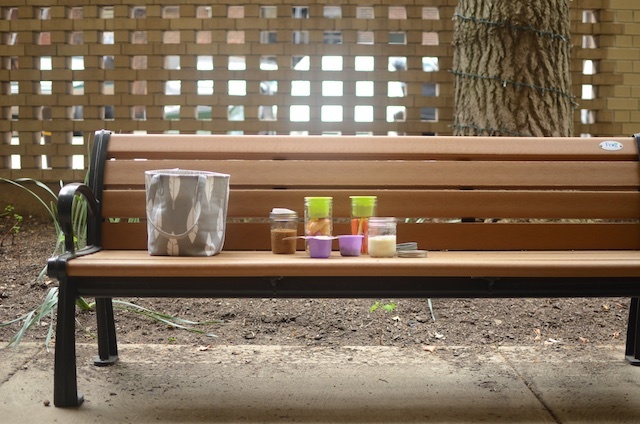 The BNTO is a great way to minimize the number of containers in the picnic bag! My kids will be home this would be great to send them out on their jobs and extra classes with snacks to keep them going. Would be great to pack my lunches for work! And breakfasts, I pack those, too. 12 hour shifts are long and I need sustenance. I’d Stop spending so much money and wasting time ordering takeout almost every workday lunch with BNTO! Nutella and sablé cookies ftw! I’d love to take a picnic hike this summer and pack some chips and salsa in a BNTO with a grain veggie salad and something sweet for dessert. I would use these packing lunches for work. My husband and I are trying to get healthy and have commuted to not eating out anymore. I’m thinking it would be a way to bring hummus to the beach. YUM!! Would love to use these for lunch snacks! These are so cool. I would us them to make ready to go snacks in the fridge. I have two teenage boys that are always hungry. I love the idea of cut up veggies and dressing. I’d do some BNTO things! We’re about to move to more packed up snacks and lunches and I am looking forward to fun, creative solutions like this that don’t depend on a ton of tupperware. I’m all about homemade iced coffee and pink lemonade in the summer, and I’d love an easier way to tote these drinks plus lunches to work. Thanks for the giveaway! I’d do carrots, broccoli, etc with hummus or dip. I’d do snacks for work and home. These would be great for packing snacks for day trips with my kids over the summer. Summer time lunches, outdoors of course! The bnto would be perfect for cottage cheese + jam + granola snacks. Alsao refrigerator oats + fruit! Looks great for heading to summer concerts! I would use them to take lunch to work. Thanks for the great giveaway. I will use them to take my lunch to work. And snacks! Yogurt w/fruit, veggies w/dip, salads w/croutons — all good uses for the BNTO. These would be so handy in my lunchs for work! I’d love these for snacks for the kids for summer trips – camping and the zoo! Question, would these also be good for holding a small amount of cabbage under its juices for sauerkraut? Just curious. I do love Cappow products for making my life easier. These would be great for snacks. Oh, my. These would be great for setting up snacks/little meals for the rest of the day, or even a couple of days. In summer, I really dislike spending time in the kitchen when there are so many fun things to do outside. Plus, a lot of small meals are better during hot days. I would love to put healthy snacks in them for the pool visits. I would put lunch in it and bring it to work. I’d love to put snacks in them for my lunch in the park on warm summer day.